Elton John’s mother has spoken out about the rift between her and her son. Sheila Farebrother, 86, said the pair had not spoken for three years and she had not met the star’s baby son Zachary. She told the Sun: “He has cut me off completely. Mrs Farebrother, who lives in Sussex, would not say what caused the row but confirmed that the singer still looks after her financially. “I don’t want to start mud-slinging. It was very painful,” she said. 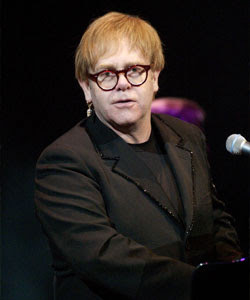 Sources told the newspaper that Mrs Farebrother had offended Sir Elton’s civil partner David Furnish.